This appeared in the May 2016 issue of the Register-Guard’s annual outdoor exploration guide, Discovery. Eugene’s own Asian Kite Festival on May 14 kicked off a season of high-flying fun featuring balloons and kites, and in the case of the Northwest Art & Air Festival in Albany, both balloons and kites for the first time this year. It is safest to launch hot-air balloons when the surface winds are at their calmest, which happens early in the morning before the sun’s heat sets off rising thermal columns of air, so plan to arrive early for the best balloon viewing. Unlike balloons, kites can be flown all day long and even indoors, as in the case of the Southern Oregon Kite Festival, and perform best when there’s a little breeze. Colorful kites soaring, dipping and weaving through the air evoke a timeless playfulness and sense of nostalgia enjoyed by kids of all ages. Balloons Over Bend Children’s Festival: July 22-24, Bend. The festival has a new launch location this year because of often unsafe winds near downtown Bend. Still, the five to 10 balloons that are launched at dawn are visible all over town. Limited tickets are available for balloon rides and a crowd favorite is the Friday evening night glow, when participating teams fire up their balloons to light up the dusk sky. The Children’s Festival takes place in Bend’s Riverbend Park from 10 a.m. to 5 p.m. on Saturday, featuring more than 60 activities and events including the Balloon Blast Kids Race for ages 3 to 10. Launches are planned at 5:30 a.m. Friday, Saturday and Sunday from the Christian Life Center, 21720 US 20, Bend, and the Friday night glow starts at dusk in Riverbend Park. There are no fees for the night glow or the launches. Children’s Festival admission is $15 for all activities and bouncy houses. Adults are free with child admission. Tigard Festival of Balloons: June 24-26, Tigard. All of the favorite events from years past such as the car show, live music, 5K race, soccer tournament and vendors — balloons, too, of course — will return this year, but organizers are working to make the 2016 festival bigger and better with new events. The dusk night glow is a perennial crowd pleaser in which balloons are anchored and lit up in coordination with music. Balloon launches take place between 5:45 a.m. and 6:15 a.m., weather permitting, on Friday, Saturday and Sunday from Cook Park, 17005 S.W. 92nd Ave. A three-day weekend pass is $7 per person at the gate, or $5 if purchased online in advance. It offers unlimited access for all three days. Kids 6 and younger are admitted free. Northwest Art & Air Festival: Aug. 26-28, Albany. The festival will feature both balloons and kites this year for the first time. Crowds appreciate the award-winning kids’ activity zone featuring sensory activities, exhibits from Reptile Man, a climbing wall and a car that is painted white each night so kids can paint it the next day, and the night glow, in which the anchored balloons are lit up. 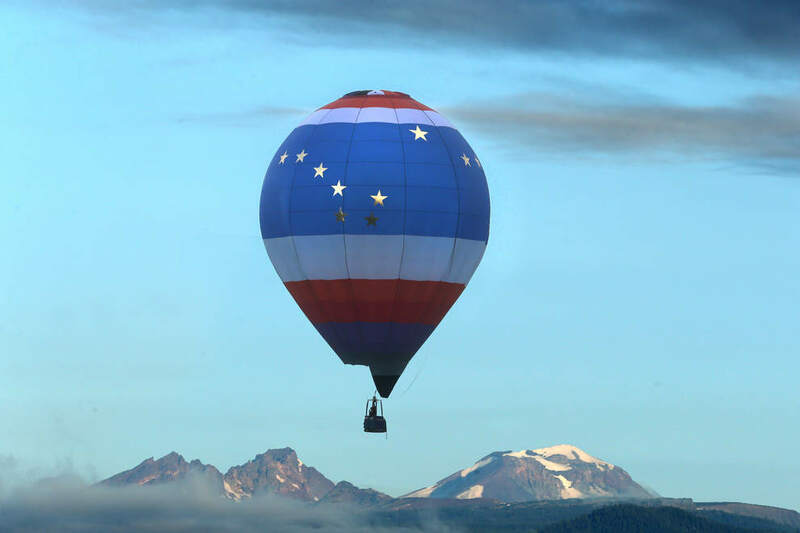 Balloons launch at 6:45 a.m. Friday, Saturday and Sunday, weather permitting, from the south end of Timber-Linn Memorial Park, 900 Price Road S.E. Visitors pay $5 each day to park at Timber-Linn Memorial Park or the Linn County Expo Center. Live music each day. 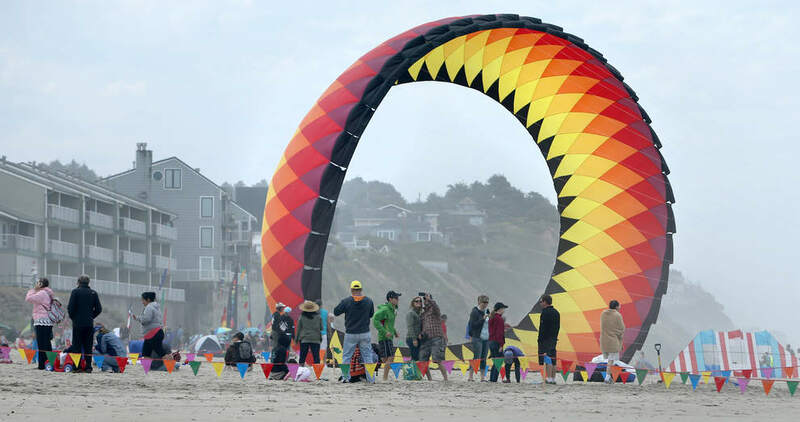 Lincoln City summer and fall kite festivals: June 25-26 and Oct. 1-2. Kitelines Magazine named Lincoln City one of the best places in the world to fly a kite, and with one of the world’s largest annual kite festivals held here, many people get to test that claim for themselves. Lincoln City hosts a large summer and fall kite festival each year, held on the beach at D-River Wayside and featuring kite flying demonstrations by featured experts; free kids’ kite-making and parade; running of the bols (which are giant colorful “wheels”); and colorful kites of all sizes all weekend long, 10 a.m. to 4 p.m. on Saturday and Sunday. Limited on-site parking is available. Shuttle service is available at the Lincoln City Community Center and Lincoln City Outlets. Shuttles run a continuous loop from 10 a.m. to 4 p.m. on Saturday and Sunday. Southern Oregon Kite Festival: July 16-17, Brookings. Since 1993, the Southern Oregon Kite Festival has brought premier kite flyers and kite makers to the southern Oregon coast in Brookings. Added a couple of years ago is a choreographed indoor kite fly held in the Brookings-Harbor High School gymnasium. No fans or anything else mechanical make the kites fly — lift is created by the fliers’ own movements. New this year is a kite-flying team, the Magnificent Seven, that has never before performed in Brookings. Free parking, free shuttle service, free admission and free kids’ kite-making add to the fun at the Port of Brookings Harbor. Rockaway Beach Kite Festival: May 27-30. Rockaway Beach is a fairly small place and once the kites are in the air they can be seen for miles. For 38 years this kite festival at Ocean’s Edge Wayside (South 1st St., Rockaway Beach) has entertained the young-at-heart of all ages. In friendly contests, participants vie for honors such as nicest kite, the kite that drags on the ground the longest before becoming airborne, and many others. Children can build and learn to fly small kites during special classes. Drop-in kite flying is encouraged. Visitors can watch the many large and small kites or simply enjoy the live music, exhibitions, vendors and food.